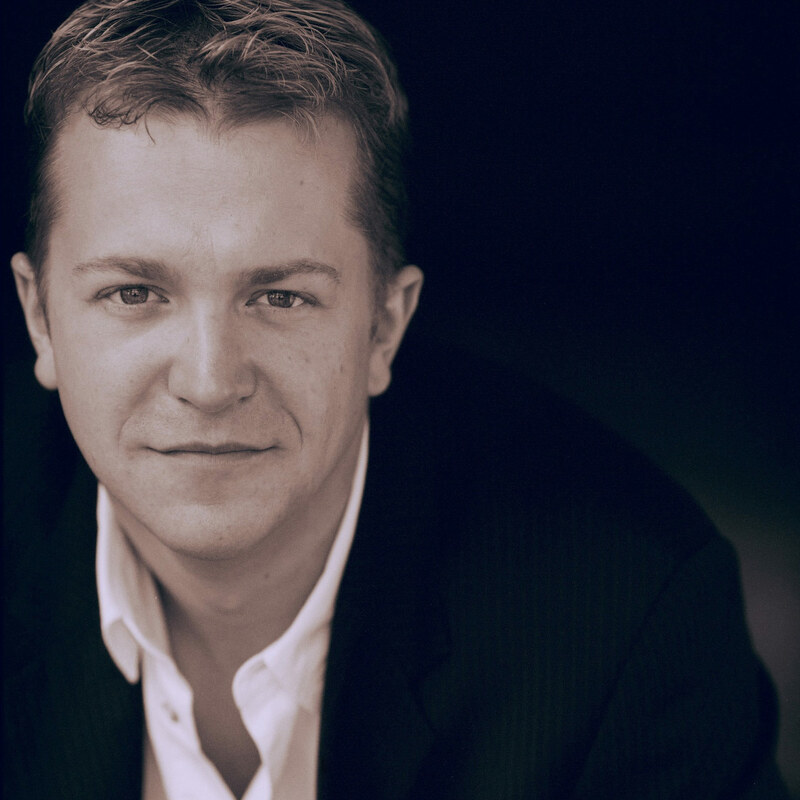 Canadian bass-baritone Daniel Okulitch has performed with some of the most prestigious opera companies and orchestras throughout Europe and North America, including Le Chatelet, Teatro alla Scala, Teatro Colon, Dallas, Washington, and Los Angeles. He is lauded as much for his powerful stage presence and dramatic abilities as for his “focused, resonant bass-baritone that he wields with power and sensitivity” (NJ Star-Ledger). His signature roles show a dedication to both traditional and new works, including the title role in Don Giovanni both the Count and Figaro in Le nozze di Figaro, Joseph De Rocher in Dead Man Walking and Olin Blitch in Susannah. “Okulitch was a dynamic and effective stage presence; he almost stopped the show the first time he strode on stage and sang his opening notes (…) by far the most developed and projecting singer in the cast.” ( New Jersey Star-Ledger). Engagements in 2015-16 included the title role in a new production of Don Giovanni at Santa Fe Opera and The Lyric Opera of Kansas City and LBJ in the world premiere of JFK with Fort Worth Opera. Prior to that he debuted with L’Opéra de Montréal as Lieutenant Horstmayer in Kevin Putt’s Silent Night, the role of Herman Broder in the world premier of Enemies, a Love Story with Palm Beach Opera, the role of Ennis Del Mar in the world premiere of Brokeback Mountain at Madrid’s Teatro Real, the four villains in Les contes d’Hoffmann with Edmonton Opera, and Creonte in Medea in Geneva. He also joined the cast of the Metropolitan Opera for their production of Don Giovanni, and returned to Santa Fe Opera as the count in Mozart’s Le nozze di Figaro. Future engagements include his San Francisco Opera debut as Sam in Bernstein’s A Quiet Place, his debut in the role of Leporello with L’Opéra de Montréal, his return to Vancouver Opera as Joseph de Rocher in Dead Man Walking, and his debut with New Orleans Opera as Don Giovanni. In concert he recently performed Beethoven’s Symphony No.9 with Indianapolis Symphony and Haydn’s Harmoniemesse at the Grant Park Music Festival, and next season he debuts with the Toronto and Edmonton symphonies with Maestro Nicholas McGegan in Handel’s Messiah. He will also appear for the Toronto Symphony in a new work written for him by Owen Pallett. Prior to 2014-15 he performed Don Giovanni with Vancouver Opera, the role of Escamillo in Carmen and Giove in La Calisto with Cincinnati Opera, the Pirate King and in The Pirates of Penzance and Don Giovanni with Portland Opera, and Sharpless in Madama Butterfly with Calgary Opera. Recent successes include his return to Teatro alla Scala as Swallow in their production of Peter Grimes, the role of Willy Wonka in The Golden Ticket with Atlanta Opera, a return to the Los Angeles Opera as Figaro in Mozart’s Le nozze di Figaro, his debut at Theatre Wielki in Warsaw as Mozart’s Figaro, Beethoven’s Symphony No. 9 with the Vancouver Symphony, and his New York and Toronto recital debuts. In the summer of 2011 he made his Santa Fe Opera debut as Abdul in Menotti’s The Last Savage and prior to that made his New York City Opera debut and his Palm Beach Opera debut as Don Giovanni, returned to Vancouver Opera as Mozart’s Figaro, Calgary Opera as Frederick Bhaer in Little Women, his Opera Theatre of St. Louis debut as Willy Wonka in the world premiere of The Golden Ticket, and his debut At Teatro Colon in the role of Don Giovanni. Other notable successes include Seth Brundle in the world premiere of The Fly at the Opéra du Châtelet in Paris and the Los Angeles Opera, his Teatro alla Scala debut as Theseus in Britten’s A Midsummer Night’s Dream, Figaro in Le nozze di Figaro for the Dallas Opera, Escamillo in Carmen at Vancouver Opera, Swallow in Peter Grimes for his debut at the Washington National Opera, and the title role of Jake Heggie’s Dead Man Walking in Ft. Worth and the Calgary Opera in the Canadian premiere of the work. Daniel made his role debut at the Michigan Opera Theater in Detroit as Figaro of Le nozze di Figaro, as Colline in La bohème in Vancouver and the world premiere of David Di Chiera’s Cyrano de Bergerac in Detroit. Earlier in his career he debuted the title role of Don Giovanni for Opera Ontario, which he repeated for the Hawaii Opera Theater and Lyrique en Mer, sang Inspector Gert Osterland in the world-premiere of Thomas Pasatieri’s opera Frau Margot at Fort Worth Opera, performed Masetto in Don Giovanni with Vancouver Opera, Blitch in Susannah with the Boheme Opera in New Jersey, the Bosun’ in Billy Budd with San Francisco Opera, followed by a recording of Chausson’s Le Roi Arthus with the BBC Symphony Orchestra in London, Fredrich Baeher in Little Women at Fort Worth Opera, Demetrius in A Midsummer Night’s Dream with Utah Opera, Masetto in Don Giovanni with Opera de Marseille, and Laski in Chabrier’s Le Roi Malgre Lui at Avery Fisher Hall with the American Symphony Orchestra. In the 2004 season at San Francisco Opera he performed Donald Gallup in Virgil Thomson’s The Mother of Us All and made his Carnegie Hall debut in in Vaughan Williams’ Dona Nobis Pacem, and was lauded for his performance of Lev Nikolaivich in the World Premiere of Guest from the Future by Mel Marvin at the Bard Festival. Mr. Okulitch is the recipient of numerous awards and prizes, including the Singers Development Foundation, First Prize from the George London Foundation, The Sullivan Foundation, 2nd Prize from the Licia Albanese/Puccini Foundation Competition, 1st Prize from the Joyce Dutka Arts Foundation, a Grant from the Singers Development Fund, and was a Regional Finalist in the Metropolitan Opera Auditions He is the recipient of a Canada Council Grant for Professional Musicians and received the Andrew White Memorial Award and a Corbett Award while a student at the Cincinnati Conservatory of Music, where he received an Artist Diploma in Opera, after completing his BM and MM degrees in Voice and Opera respectively, from the Oberlin Conservatory of Music.